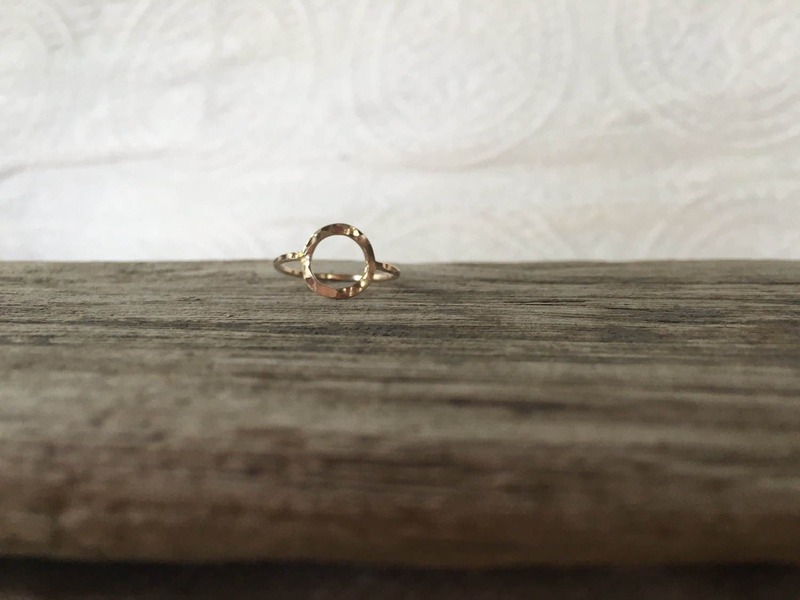 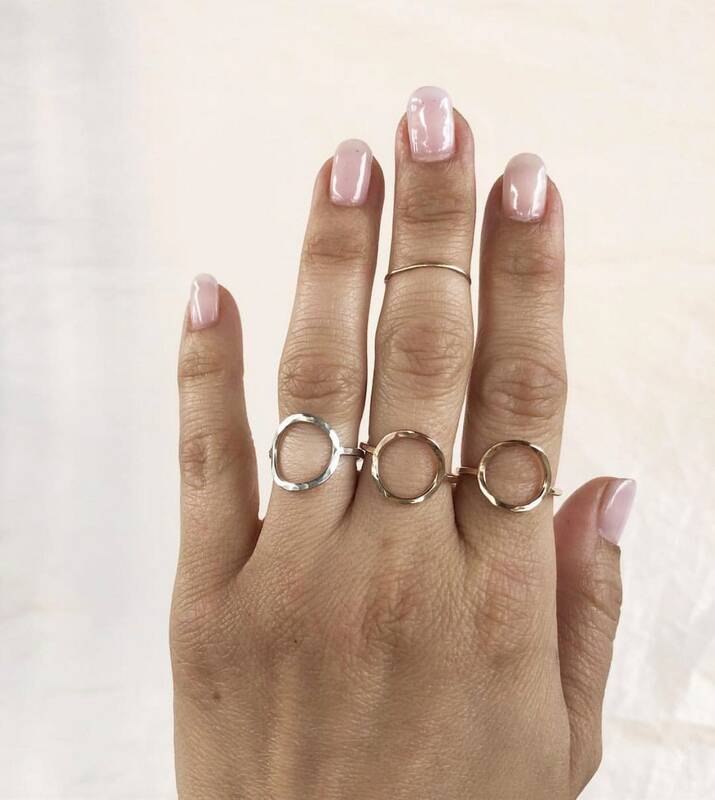 Just a new addition to our hammered stacking rings. 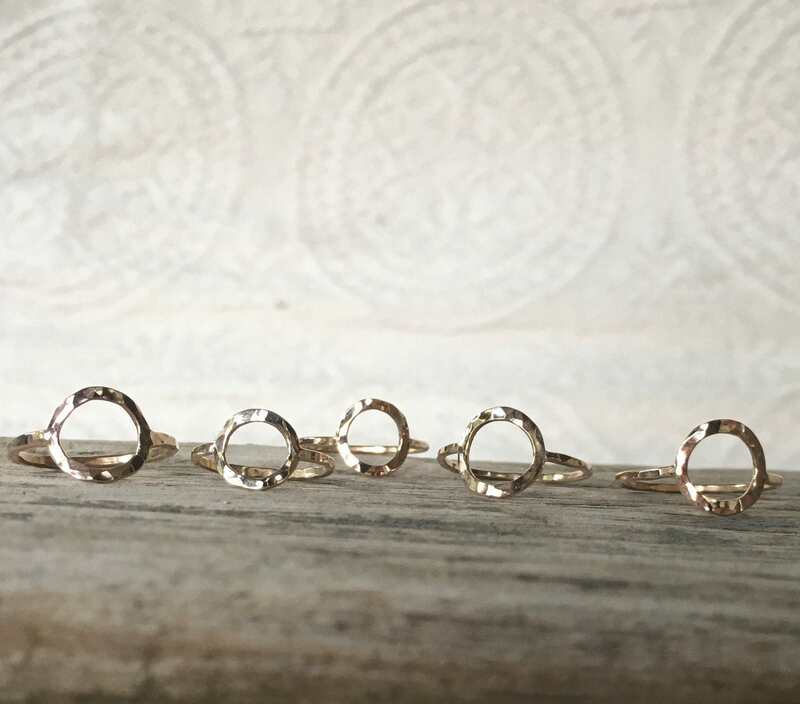 These beauties are slightly thicker and fit just right. 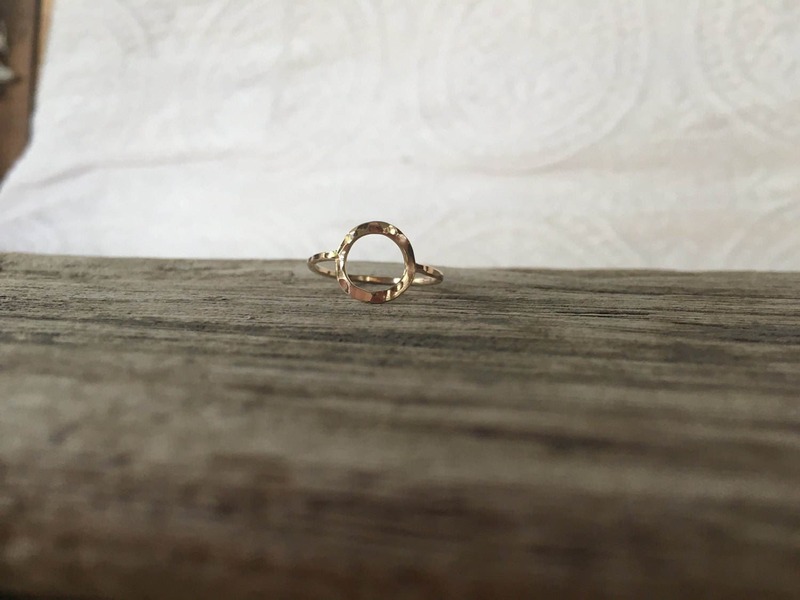 Hand forged to a beautiful hammered finish, this ring is great solitaire or among more of our skinny stackers and gem rings.